Charming turn-of-the-century, well maintained, 6 unit building in prime location just blocks from Concordia College with easy access to Hwy 94 includes vacant lot in rear for plenty of off-str parking. 6-plex is fully occupied, with new vinyl double hung windows in 2018, new boiler in 2016 and coin-op laundry machines leased until July '19. Three of the six units have been fully rehabbed and 1 partially. Showings are limited to Mondays 2-7p, Wednesdays 9-noon and Thursdays 11-2pm and 5:30-7:30pm and require 24 hrs notice. I was searching for a Property and found this listing (MLS #5197403). I would like to schedule a showing for 1372 Selby Avenue Saint Paul, MN 55104. Thank you! I was searching for a Property and found this listing (MLS #5197403). 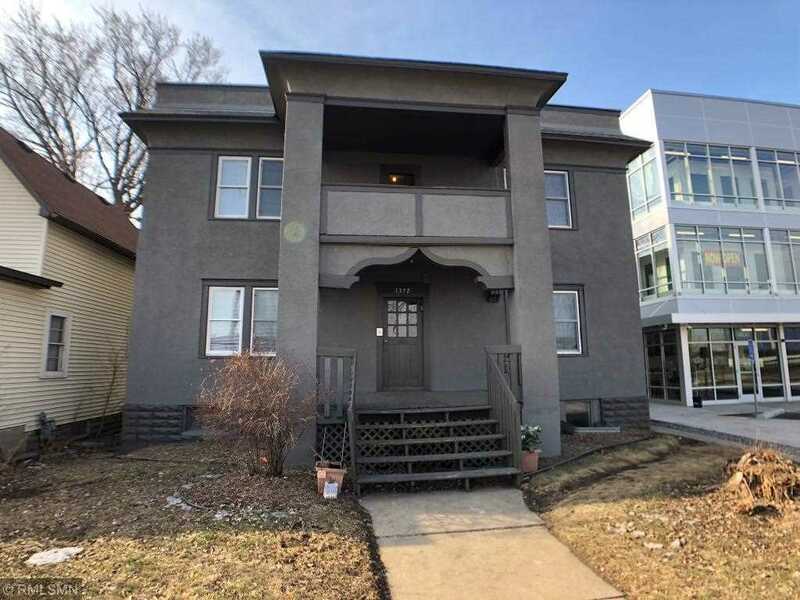 Please send me more information regarding 1372 Selby Avenue Saint Paul, MN 55104. Thank you! Listing provided courtesy of Housing Hub LLC. MLS # 5197403: This property at 1372 Selby Avenue, Saint Paul, MN 55104 is located in the Merriam Park/Lexington-Hamline subdivision and is listed for $695,000. MLS # 5197403 has been on the market for 30 days.